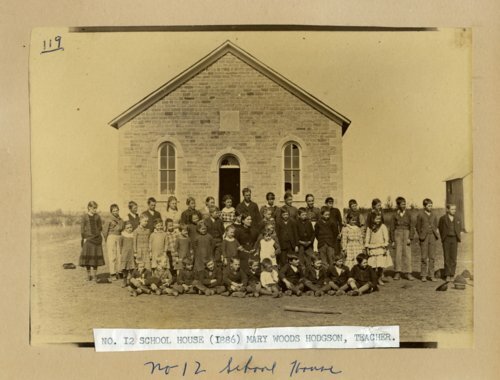 Photograph showing students outside Wabaunsee County School District No. 12. The teacher, Mary Woods Hodgson, is seated in the middle of the students.